"A challenge for green finance is the ongoing struggle among appraisers and underwriters to understand the value and risk of sustainability." --Scott Muldavin, Executive Director of the Green Building Finance Consortium in San Rafael, CA. 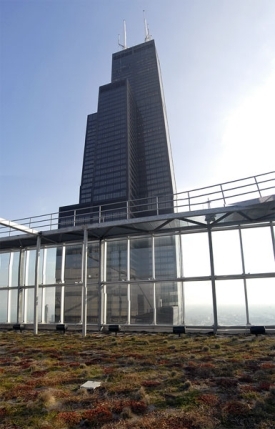 The city of Chicago recently announced that the Sears Tower and the Merchandise Mart are being retrofitted to meet LEED certification standards, making the Sears Tower the largest green structure in the United States. News link. This is a trend that will obviously continue. Due to the vast number of built-to-code structures already existing, it wouldn't make any business/economical sense to knock everyone of them down and build it back green. Green retrofits are a good solution; however, you have to crunch the numbers. I am sure there are some projects out there that would be better off bull-dozing and starting from scratch. You also have to be aware of the public's desire for preservation. The architectural fabric of a particular city can take decades to build and tear-down strategies are often met with public resistance. I would be curious to hear from any of you that have done a green retrofit...whether it be a commercial structure or a personal residence. Did it cost more than you anticipated? What were some of the obstacles? How did the project turn out? I hit the jackpot today with green videos. I have been on a dry spout lately trying to find really cool, information videos about green building and green trends. Anyway, this video is about Blaken Holden and his efforts to restore an old rundown Brooklyn Brownstone (an old brown sandstone which was once a popular building material especially in NYC) into a vintage green home. Very interesting. Video about how green roofs in urban environments help cities cool off and clean up. Just a follow up to yesterday's post. Wired has an article about 4 technologies that are on the brink of going big...really big. Wind energy, geothermal, solar power, and synfuel. Check it out here! 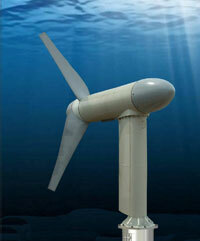 I have done quite a few posts on wind turbines but this is the first one on water turbines. I was watching a TV program called "Big Ideas Small Planet" and one of their interviews was with Trey Taylor. His company in New York, Verdant Power, has developed a water turbine and has actually installed it in the East River, New York City, along the eastern shore of Roosevelt Island! New York has some amazing water currents and its awesome to see a company take advantage of that for renewable resource purposes. Its called the RITE project and Verdant is using a tidal-powered Kinetic Hydropower System (KHPS), which they developed and patented. The project is slated to eventually run rows and rows of water turbines in the East River generating enough renewable energy to supply power to 8,000 New York homes. 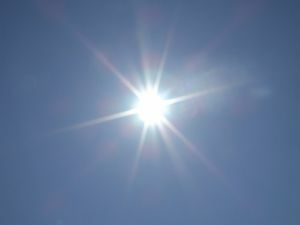 Studies have shown that people are happier and more productive when they are exposed to natural sunlight during the course of their workday as opposed to artificial light. In 1999, the California Board of Energy Efficiency commissioned a study and found that increased sales, increased productivity, increased wellness and reduced energy costs resulted from companies using natural solor lighting instead of artifical light. Enter in Sunlight Direct. WARNING: No trees were harmed in the writing of this blog! At least I hope not. Anyway, in central Washington state, there is a resort community that prides itself on environmental responsibility, energy efficiency and sustainability. Its called Suncadia. One of the homes in the resort is called "The Built Green Home" at Suncadia (pictured above). Developed by Brenda Nunes, the home is customized, fiscally and environmentally responsible and employs green building techniques and materials. 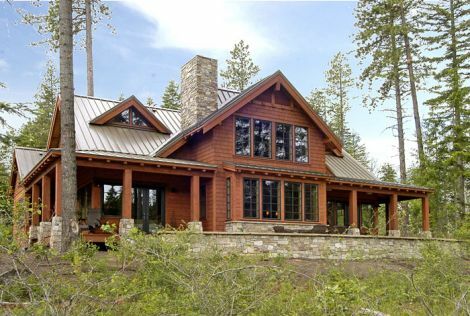 It is 3,000 square feet, 4 bed 3 bath and is located right on the 13th green of Suncadia's Prospector golf course. The home was built in accordance with the Built Green program. Built Green is an environmentally-friendly, non-profit, residential building program for central Washington. The Built Green Home is one of the highest green-rated homes in Washington with five stars under the Built Green program. Let me begin by saying that I never thought I would be writing blog post #100. When Equity Green went live last December, I never thought there would be enough green content to post everyday. As you know, that's not the case. It seems like 2007 is the year for green. It is really starting to take off and be a hot topic of conversation. Thanks for everyone's support and I look forward to continued interaction over the next 100 posts and beyond. Aeroturbines are being developed for urban settings. They were invented by University of Illinois industrial design professor Bil Becker. According to their website and press releases, the aeroturbines are best installed 40 feet in the air (where wind is at least 10 mph) so as to take advantage of stronger winds. The aeroturbine can be designed and implemented into the structure of a building...adding to its architectural appeal, thus the name Aerotecture.